Prevention is always better than cure, with absolutely everything, and gum health is no exception. So, how often should we think about our gums? Everyday! The health of your gums can affect your overall health and wellbeing, and should be treated as a priority. Our teeth are protected from a thin layer of soft skin, which is essential to take care of. Think about it, this layer of skin is what keeps away toxins and bacteria from reaching our teeth and bones. Excessive plaque build-up is the biggest factor effecting gum health. If you are not brushing teeth after meals and flossing on a daily basis, you bear risk of slowly building plaque, which could slowly chip away at your gum health and teeth. Healthy gums cover the bones of your teeth, and fit firmly around the tooth as a protective layer. They’ll be pink in appearance, and firm. There are many risks to the gums as a result of plaque buildup. There are two stages that have been identified in the development of gum disease, a common result of poor gum health. The American Dental Hygienists’ Association suggest that potentially 75 per cent of Americans have gum disease, and may not be aware of it. Whilst it can affect men and women of any age, it appears to be a higher risk to those in their late 30s and older. Gingivitis is the name given to the early stages of gum disease, which if left untreated can develop into the advanced stage of gum disease, periodontal disease (periodontitis). Gingivitis can often be treated, and need not progress and cause more damage to the gums. Regular check-ups and cleanings can keep further irritation at bay. Symptoms can include swelling and redness of gums, bleeding, consistent bad breath, sensitive teeth, painful chewing and receding gums. Periodontitis disease is a key cause of tooth loss, as teeth at this stage are likely to appear loose due to inflammation of the gums and a separation of the gums from the teeth. When plaque is not effectively removed it builds up and wears against the gums and teeth. It can grow in the spaces between teeth and hardens, which proves increasingly more difficult to remove and works as a surface for bacteria to latch onto. Gum disease also affects the rest of the body. Those with periodontal disease are at higher risk of developing other illnesses. Cardiovascular disease is the cause of 2,400 deaths daily in the United States, as a result of the thickening of coronary artery walls (inflammation) and the formation of clots, which can prevent the normal flow of blood to the heart. Respiratory infections are also a leading cause of death in the US. Research has suggested those with periodontal disease may be at a higher risk of such infection. Other complications and health issues with potential links to gum disease include diabetes, pregnancy complications and dementia. Whilst it’s not confirmed that these health concerns are a direct cause and effect of periodontal disease, there are links through the level of inflammation experienced. Those that suffer with diabetes for example are often told that they are more susceptible to gum disease and infections. As previously explained, Gingivitis can often be treated when visiting the dentist. Regular cleanings and check-up can prevent the buildup of plaque, as well as your own daily brushing and flossing. The treatment of periodontitis disease focuses on controlling the infection, rather than curing the disease itself. Scaling and root planing will take place, which work to remove plaque as thoroughly as possible. As plaque gradually develops into a tartar on the teeth and gums, the dental hygienist will scale (scrape) the tartar from the gum line and teeth. Deep cleaning methods can vary, and the goal is to ensure the least amount of discomfort as possible. There may also be medications, which could be subscribed on a case-by-case basis, which will not alleviate the issue, but will support with the irritation. Prescribed medication will work to control the level of bacteria produced. 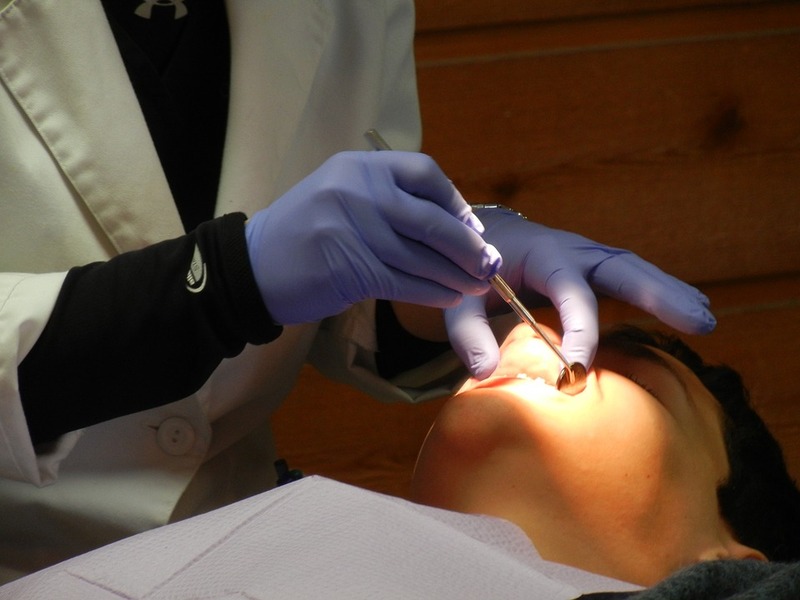 All treatments will be discussed at length with your dental hygienist before deciding on the best steps for you. Some stages of gum disease may also require surgery; flap surgery is often prescribed if the inflammation sees no signs of improvement after deep cleaning and medication, whilst bone and tissue grafts may be suggested in order to support and promote bone growth. This treatment is seen as a restorative measure, focusing also on tissue regeneration. In order for any treatment to work, it would require that you take your daily steps to maintain good oral hygiene and gum health, including brushing teeth after meals and daily flossing. To keep gums healthy and protect them against plaque buildup, you should be brushing after meals and flossing every day. This is one of the most important and consistent ways to ensure that the formation of plaque is prevented. It’s a very simple and yet proven method of prevention, and one that should be essential to your daily routines. 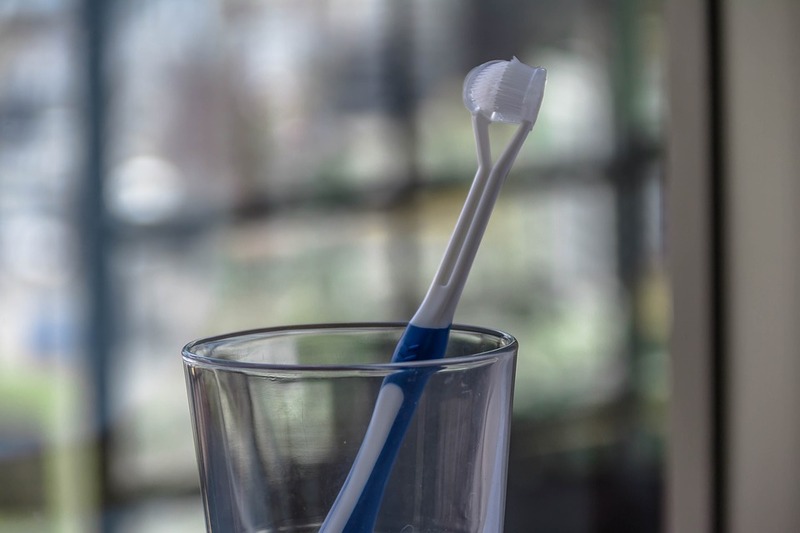 It may also be useful to use an interdental brush or dental sticks to support with daily flossing, and consider the quality of the toothbrush you are using – does it clean all of your hard-to-reach areas? Another key measure to ensure healthy gums is to avoid smoking. Smoking has proven to have negative effects on several parts of the body and general wellbeing, and gum health is not excluded from the list. Those that smoke 5-10 cigarettes per day are at least three times more likely to suffer with unhealthy gums and the ailments that come with this, whilst those that smoke more than 10 cigarettes per day are up to six times more likely to suffer with gum disease. Smoking can seriously increase the amount of bacteria that accumulates in your mouth, contributing to poor oral hygiene and the failure of your mouth’s ability to fight off infection. Without the ability to fight off infection, the chances of plaque and tartar build up increase. A healthy diet is also instrumental in the maintenance of healthy gums. Ensure you do not overindulge in sugars, whilst including foods high in omega-3 fatty acids (often found in fatty fish). Foods like vegetables, fruits, nuts and vegetable oils are also effective nutrients, and work to suppress inflammation of the gums. Drinking green tea can also help to control bacterial infections and promote good oral health. The sooner you become aware of the issue, the better. Pain is not always present with gum disease, and sometimes there are not any visible signs to begin with, which is why many adults are unaware that they suffer from periodontitis. If you do spot any of the signs associated with gum disease, raise the alarm as soon as you can. Swollen, bleeding gums are often a warning sign and must not be ignored. Other warning signs can include gums that have pulled away from teeth and the widening of space between teeth. Pay attention to the signs your body gives you, it raises its own alarm bells for you to take note of. Remember to have regular check-ups and cleanings; we’d advise you to visit your dentist at least twice a year. Dr. Sheehan encourages patients to discuss any concerns or fear related to oral wellbeing and gum health, and if you have any questions regarding preventing gum disease and improving oral hygiene, please do not hesitate to ask.